Unlike other 20” leisure folding bikes we have introduced, Columba 26” folding bike with Shimano 18 Speed(SP26S) is made in a strong and heavy-duty mountain bike style. It rides so smooth on city roads, uphill, slopes or even rough terrain. You hardly can imagine this is a folding bike. 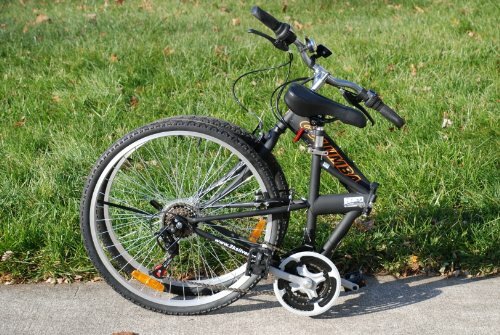 The great advantage about this folding mountain bike is its very affordable price - just a bit over $200. Being highly appraised by many customers, this is an ideal choice for not only urban but also adventure riders. Click Here to Check Price Now! The design of this bike is amazing and very on point. It looks like a real mountain bike and people can hardly tell this is a folding bike. If you are up for an adventurous sporty looking bike, this is the one​. The greatest part about its design is four color choices: black, blue, silver and yellow. You can easily choose your favorite option from all these beautiful colors. Folding bikes are normally constructed with 20” wheels to maximize the portability and gain the advantage of maneuverability. However, Columba 26” Folding Bike with Shimano 18 Speed have big wheels which support much more stable and comfy riding experiences and make it feel like riding a real mountain bike. In addition, Kenda 26” tires and the alloy rim increase durability of the wheels and allow riders to conquer challenging terrain​. The framework is made from steel but still much more light-weight than other steel-framed bicycles. It weighs only 34 pounds (15.5 kg) in total. When folded it comes into a compact size and easily stay neatly in the back of your car or any small space. Also you won’t have difficulty carrying the bike around within short distances​. 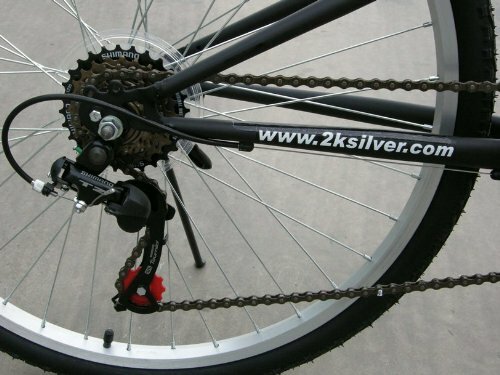 ​It is not a problem for Columba 26” SP26S folding bike to pick up speed thanks to its Shimano 18 speed derailleur. The gear shifter functions without hindrance and allows riders to take more control on the ride. Besides, the Amalgam rear and V-brakes are made from alloy – assuring durability of the bike even when it rides though rough roads with holes and rocks. Alloy kickstand is a convenient feature which prevents the bike to place on the ground. Removable front handle stem and adjustable seat height. It can’t be locked when folded. Brake handles are made from plastic. Recommended only for people who height is from 5.3 to 6 ft (162 – 183 cm). If you are taller, you may want to substitute with a longer seat post. Front wheel is uninstalled when it is delivered. Users can install with the help of manual guide. 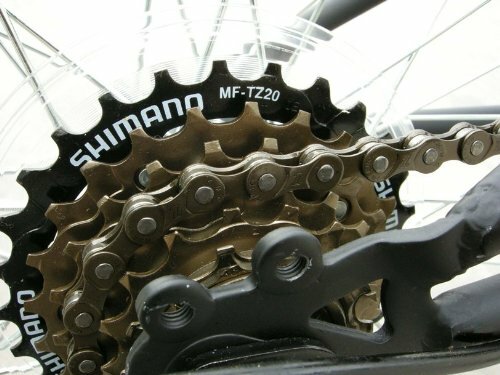 But it is recommended to have it installed and touched up by a professional bicycle mechanic. Folded size: 38" x 14" x 29"
​All we can say about this bike is that it's a real deal. The price is unbeatable and positive customer reviews are prolific. 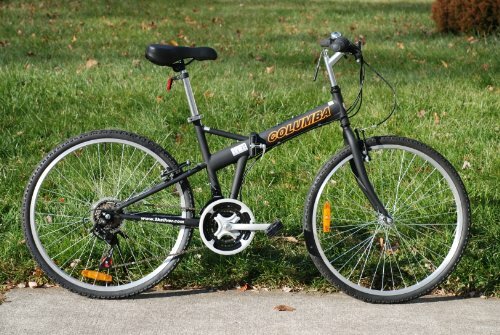 There are some drawbacks; however, Columba 26" folding bike with Shimano 18 Speed SP26S is generally a comfort, properly working and in-style folding bike.